January is finished, and so is my January book. Soul Survivor by Phillip Yancey was most remarkably - divinely? - the perfect book for me in my present faith crisis. Turned off by the church, sickened by Christian hypocrisy, cynical of the infiltrating mysticism, exasperated by stubborn Right Wing Evangelicals, faithless and empty, I was sceptical that a book - a Christian book - would be of any use to me. I started the book a few days later, and from the very start, I realised this was not going to be your average Christian bookshop self-help rubbish. Yancey begins by sharing his own experience with the church - an experience that pushed him away from it, and from God, because of the same reasons I have. Hypocrisy, lies, and spiritual and emotional manipulation were among some of our mutual complaints. He goes on to discuss thirteen different men and women who's lives and written works drew him back to a belief in God. Not one of those thirteen people were expected. No Billy Grahams or Benny Hinns here. Instead, he dedicates chapters to the least likely sources, many of whom would be considered horrible role models for a Christian, some of whom were not Christian at all. And yet, as I read about each person, I was struck with how much I related to all of them, in most cases because they were not your squeaky-clean church variety. Great historical figures like Mahatma Ghandi, Martin Luther King Junior, and John Donne are included in this list. Not a one lived a 'holy' squeaky-clean life (in fact, all three liked their women), but all three looked to Jesus for inspiration and as the model of whom they wanted to emulate. People I had never encountered before like Paul Brand and C. Everett Koop impressed me, as men outside the accepted Evangelical circles, but who's love for God's people shone brighter than the average church-goer today. Brand, who dedicated his life to care for the untouchable people of the world, people with leprosy, and Koop, who understood the difference between his own moral stance on abortion and homosexuality and his responsibility as Surgeon General to care for the needs of all Americans, including those who's choices and beliefs differed from his, placed a bit of hope in me that there really are devout Christians out there who are not only 'practising what they preach' but doing so with intellectualism and unconditional compassion. Then there were the writers. 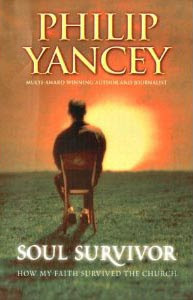 Yancey is not a typical Christian best-selling author; he is a real writer (I was surprised), one who actually writes because he must and cannot live without doing so. He writes several chapters on fellow writers, who also share his faith to varying degrees and with varying conclusions, and again, none who are squeaky-cleaners. Annie Dillard, Henri Nouwen, Shusaku Endo and Frederick Buechner are a few of the authors who I am now eager to get my hands on. Many of these writers in my younger days of evangelical zeal I would have written off as unorthodox or even heretical. Now, though, through the eyes of a fellow searcher, a fellow imperfect and a fellow writer, I see people honestly expressing what they know and don't know and relying on God anyway, through days of belief and days of doubt. The most inspiring chapter for me was that on Frederick Buechner. I think every word about him and quoted from him resonated deeply with me, as a human and as a writer. I feel kinship with a guy who had intellectual doubts and felt like an outsider to the church. His advice to 'listen to your life' and discover that in even the boring and mundane there are key moments to be revealed has changed the way I have lived, quite literally, in the past few days. I have stopped to cherish and revel in as many moments as possible - while pouring the kids' cereal, while opening a tin of soup, while running through the rain and the hail and the wind in tears with my baby - and I have found tiny glimpses of meaning that have in all past like moments been overlooked. I have started writing like I haven't written in years. I have purchased a journal and have been carting it with me everywhere I go, jotting down comments, notes, thoughts and more at all hours of the day and night. I even have the foetus of a novel growing. In short, this one book has introduced me to a great number of people who have rekindled my hope that there might indeed be a God who actually does change lives, and a number of works for me to get my fingers on. I have made a reading list that will last me all year from the suggestions in this book alone. This is probably a very poor book review; that is because it is no ordinary book. 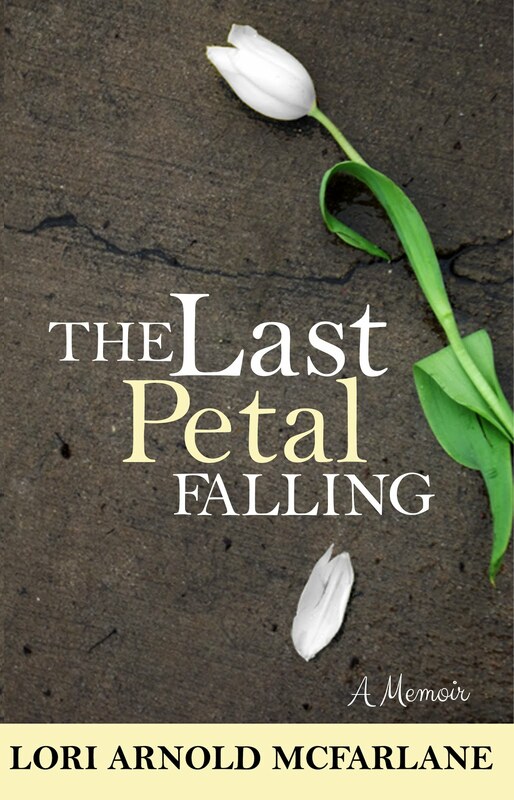 It is not a beginning-middle-and-end sort of book; it doesn't start with a premise and attempt to prove it. It is just a book on how his 'faith survived the church'. What a tagline. Can my faith survive the church? Maybe. Maybe.